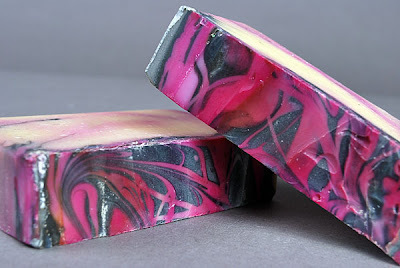 So if you remember back to my The Story of Cherry Cola soap I mentioned this one seems to change color as time goes on and comes out looking even better. Well I figured it was time to check in on it again and sure enough it is really coming out great. 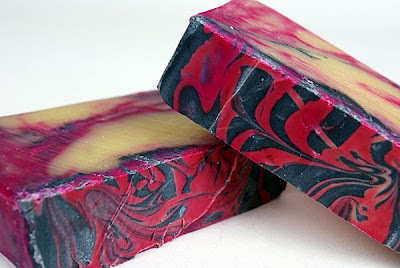 The red has calmed down and softened out like the first batch I ever made in this scent. What do you all think? 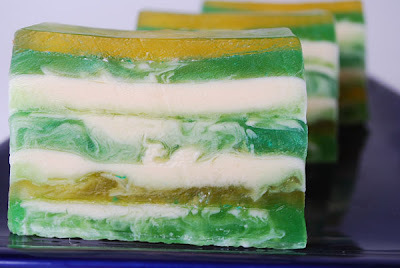 bottom one is the same soap just when it was fresh. Big news this last weekend I purchased my first craft show tent!! One step closer to doing shows when I get moved back to Colorado. 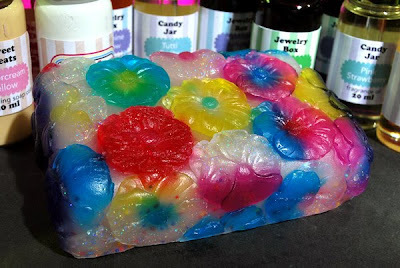 I also have a new domain name which is way easier for everyone to remember it is http://gotsoaps.com/ so cool right?!!? I am getting a rush of candle orders from my regulars, they are all trying to get them in before I leave the state on Nov 18. 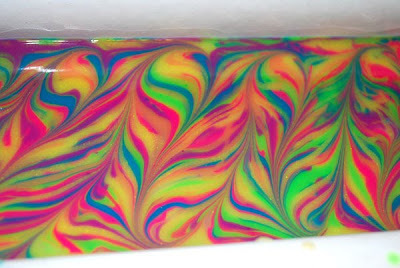 So for the next week or so I think I will be pouring candles non stop! 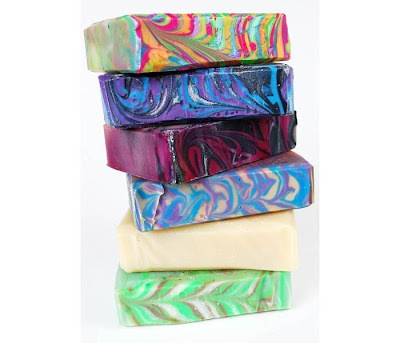 So awhile back I won a contest on The Soap Queen. 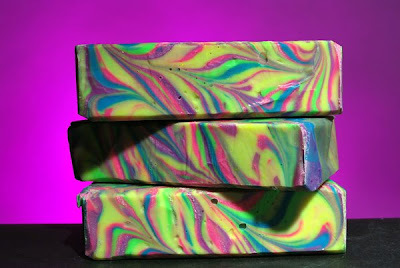 I got the whole line of the new SoapyLove colors and scents! I have started try out some of the cool stuff I won. 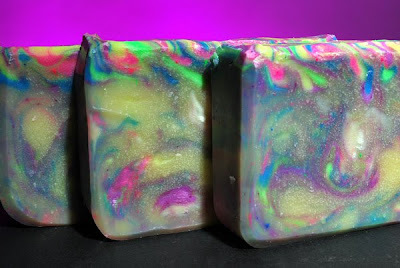 First up was the Tutti Fruity scent and let me just say I tested every one of the clear colors in one bar of soap! 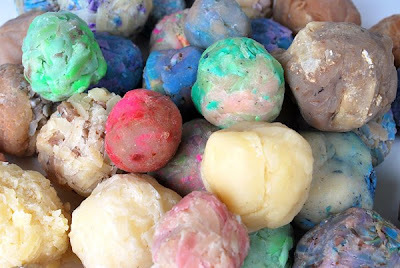 I even tried out the multi colored jojoba spheres and I learned a lesson they melt in the microwave. So I actually ended up adding the jojoba spheres 2 times. My favorite has to be the sparkle dust it is something you have to see in person. 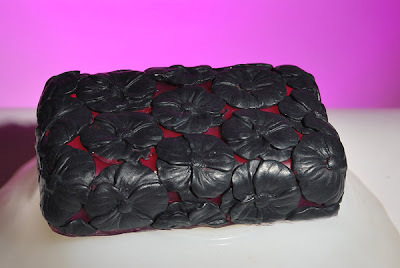 I also made another bar with the same scent but this time I used some charcoal to make black flowers and I made the clear base using the fuchsia and sparkle dust. More testing to come just going to take me more time then normal as I recently broke my toe surfing so standing in the kitchen has been much harder. 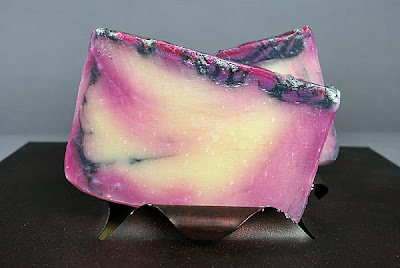 So check back later for more updates on these great products. 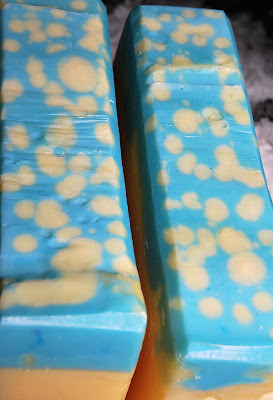 Snapped a few pictures of the newest batch of Summer Medley soap. 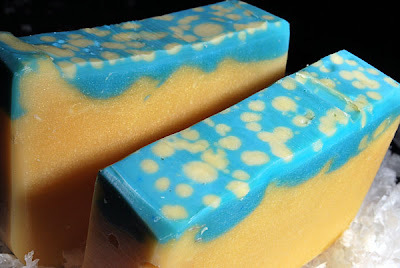 Bottom Picture is the top of the soap while in the mold. Crazy how every batch comes out similar yet totally different. 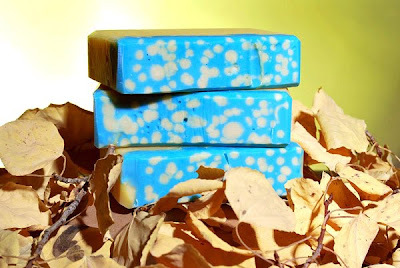 Review of my first rounds of testing the Soapylove line from Bramble Berry should be posted this weekend at some point so check back. Still playing around with my photo set-ups. Decided to try out some colored backgrounds for a few pictures. More playing to do just ran out of time tonight as there is never enough hours in the day. great blog feature by MiaSophia! 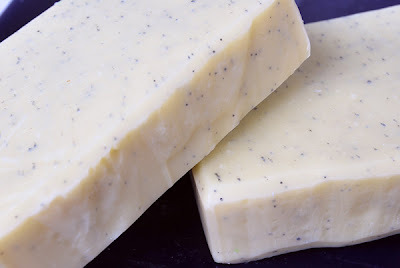 I mentioned in my last post it was time for a new batch of Twigs & Berries soap. I decided to change the colors up this time! Top pictures are the new version and the bottom is the before. 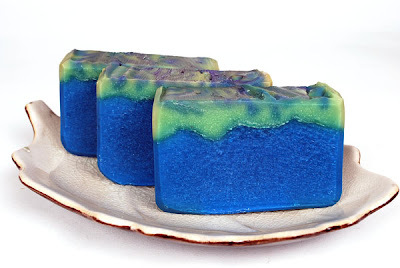 New version was made with blue mica and 24k gold mica. Loving the gold mica that is a new one for me it really added some nice highlights to the base soap color(easier to see in person). So I totally ran out of shea butter so that meant time for a stop at the oil supply store today. 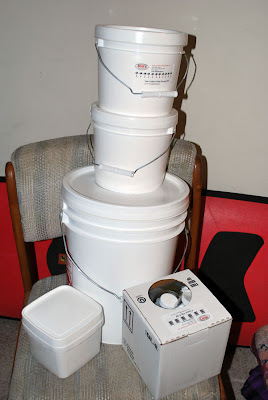 Now that I am stocked backed up pretty good I can get back to soap making. I am in the Etsy Twitter Picks Gift Guide! Thanks to someone telling me on twitter I found out I am in the Etsy Twitter Picks Gift Guide! How cool is that!?!! 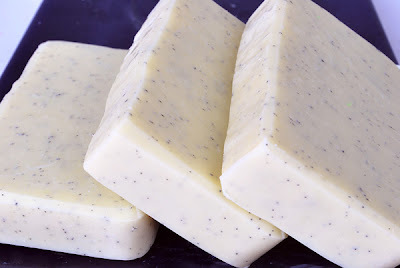 Introducing "White Licorice" a wonderful old fashion black licorice scent. 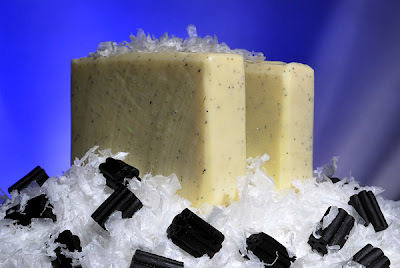 This batch of soap contains black jojoba spheres for light exfoliating.